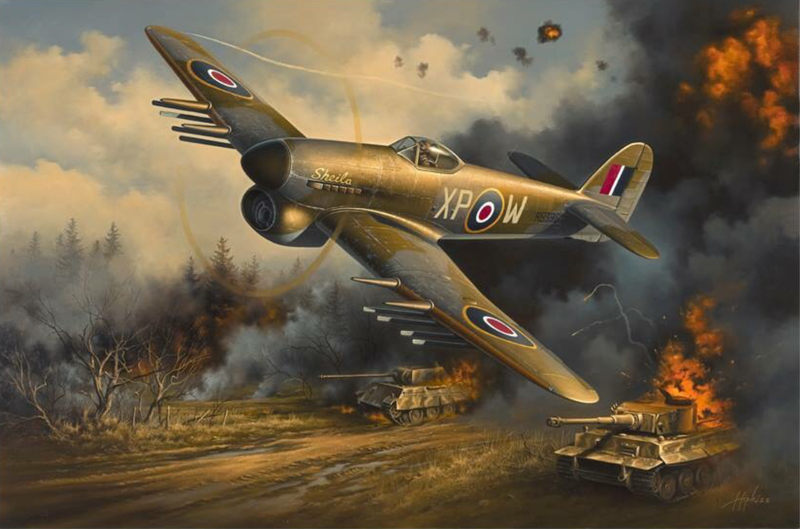 On the 1st April 1945, Flight Lieutenant Chris House was shot down over Holland in Hawker Typhoon RB396, bringing to an end this aircraft’s short, but illustrious career. Now, 74 years later we are seeking to raise an initial £50,000 in order to begin the rebuild of this sole surviving combat veteran Hawker Typhoon, and return it to flight in the skies above Europe. In just four years the Hawker Typhoon had gone from the brink of being scrapped, to becoming the RAF’s most potent ground attack aircraft. Credited with shortening the War and saving tens of thousands of lives. Because of the Typhoon, the Axis forces in Normandy and beyond were unable to move during daylight hours. But this came at a price; 666 pilots who flew the Typhoon were killed, 56% in total. In a little over four months, RB396 had been test flown and accepted into the RAF by the renowned Lawrence ‘Pinkie’ Stark, delivered by Anna Leska, flown by many pilots including Syndey Russell-Smith, its regular pilot Frank Johnson, who had his wife’s name ‘Sheila’ painted on the cowling, and finally by Chris House. In that short time it had flown dozens of high risk, ground attack sorties, it had been repaired from flak damage no less than eighteen times, on average six times a month. It is now the sole surviving combat veteran Hawker Typhoon. Now, no airworthy example exists. The Hawker Typhoon Preservation Group (HTPG) was founded in 2016 and aims to put that right. And we need your help. The HTPG is run entirely by volunteers. Since its formation in May 2016, the group has made significant progress. A public launch event was held in October 2016. A complete Napier Sabre engine, one of only a handful in existence, was gifted to the project by Cranfield University in Feb 2017. In the summer of 2017 the group acquired a base in which to exhibit and store the largest collection of Typhoon parts in the world, outside of the RAF museum. The group have been featured in almost all major aviation publications since their launch, exhibited at air shows across the country since 2017 and conducted numerous recoveries across the UK and Europe. This all costs money and to date the group have raised in excess of £350,000. This money has all been raised in their spare time and is testament to the hard work put in. The project is now in the position where the physical rebuild can begin, and it is for this, that we ask for your help. We are seeking to raise an initial £50,000 in order to begin the rebuild of the iconic rear fuselage of Hawker Typhoon MkIb, RB396. The section that gives this project, and this aircraft, its identity. The rear fuselage is unique; it is the first part of this aircraft to be rebuilt, and it is the first Hawker Typhoon to be rebuilt, ever. When complete it will likely be the only example to take flight again. And we need your help. 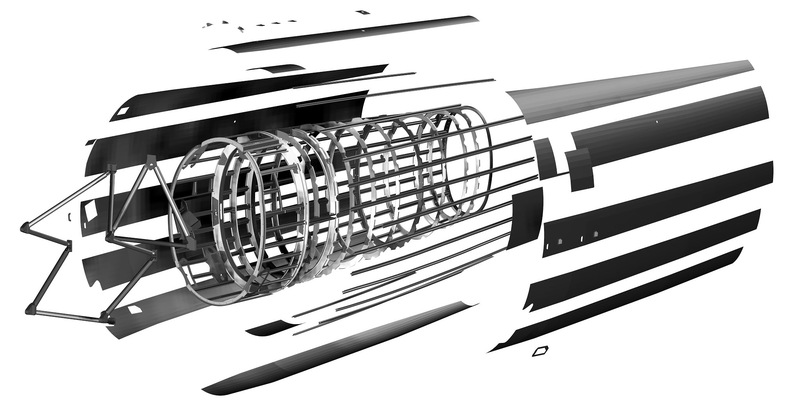 The target of £50,000 forms approximately one quarter of the total required for the rebuild of the rear fuselage, and is part of an overall £5M budget for the entire aircraft. It is just the beginning, but with your help we can commence the rebuild and reach the point where the frames and stringers are complete in preparation for reassembly, a significant step. Any funds raised on top of this target, will also go towards the rebuild of the fuselage, and aircraft. For the rebuild we have partnered with the world renowned Aircraft Restoration Company, Duxford, under the leadership of the legendary John Romain. With an aircraft of this nature, of this significance, only the best will do. The rear fuselage, with its monocoque design, will be rebuilt by Airframe Assemblies on the Isle of Wight and is expected to take 12 - 18 months, depending on funding. The target for the aircraft to fly is the 80th anniversary of D-Day, in 2024. By contributing to this fundraiser you can become part of history. You can help the first Typhoon to be rebuilt get underway. You will be part of the story of likely the only Hawker Typhoon to ever fly again. ...Assuming the project is completed at the projected date, I will be 102 years of age therefore I reserve the right to decline flying it!" - Flying Officer Bernard Gardiner 257 & 193 Typhoon Squadrons. Typhoon crews flew the gauntlet on every mission. Every time they went up, they faced less than a 50/50 chance of coming back. 56% of them were killed flying the Typhoon. To tell their story; one of incredible bravery and sacrifice; we need your help, please pledge now! Johnny Baldwin was commissioned as a Pilot Officer in early 1942, after having served as ground crew in France, joining 609 “West Riding” Squadron in November, flying the Typhoon. Claiming his first success early on by damaging a FW190, he then went on to intercept a large wave of Me109s claiming three personal kills. In March 1943 he was shot down over the channel by a FW190 but survived. 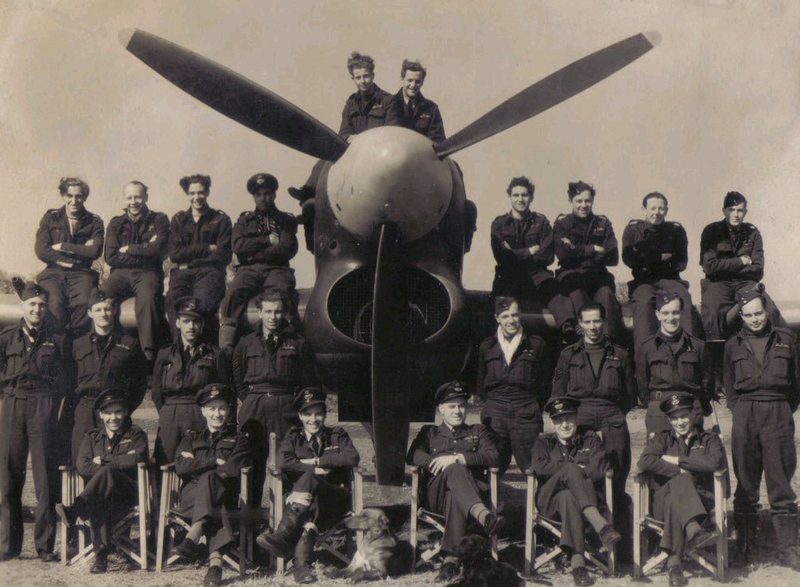 At this time the squadron’s tally made it the most successful Typhoon squadron. Following several promotions he was transferred and took command of 198 Squadron in late 1943 soon claiming another FW190 and a Dornier 217, which was his ninth victory and he was awarded a Bar to his DFC. Further claims included three FW190s before ending his tour with 198 Squadron in April 1944. A posting to 2 Group Operations staff followed and in June 1944 he took command of No 146 Wing. Later that month whilst flying with 193 Squadron he shot down another two Me109s followed by yet another shortly after. Assuming command of 123 Wing in February 1945 he spent the last days of the war in operations against enemy shipping in the Baltic Sea. In total Johnny was credited with 15 and 1 shared aerial victory along with many ground targets including vehicles. In 1946 Johnny was awarded a permanent commission but he was unfortunately lost on operations with the USAAF in Korea. Overall he is credited with being the highest scoring Typhoon ace and his awards include the DSO, DFC & Bar, Air Force Cross, Croix de Guerre with palm (Belgium), Grand Officer of the Order of Orange Nassau (Netherlands) and DFC (United States). Having been a test pilot with Philip Lucas at Hawkers, Bee knew the potential of the Typhoon before most. He resumed his operational duties with 609 Squadron, one of only three squadrons flying Typhoons in early 1942. At the age of 23 as a Commanding Officer he found himself arguing for the future of the Typhoon with Leigh Mallory and AOC Hugh Sanders. They were persuaded to share Bee’s confidence in Hawkers to rectify the early faults and so 609 Squadron “Tiffies”, with Bee commanding, were moved to Manston in March 1942 and in November of that year were set up with standing patrols to intercept the new “hit and run” Fw190s. Bee sealed the fearsome reputation of the Typhoon by developing and then executing the first solo night-time low level intruder raid on the 17th of November 1942. He attacked the train line at Calais, Amiens and Paris in the same night and declared the Typhoon a safe effective night ground attack platform. On another occasion and after much inter-squadron rivalry, an air-race took place between Bee and the CO of 91 Squadron in a Spitfire XII. Bee’s Typhoon was judged by all to be the clear winner. From then on, the Typhoon grew in stature and was relied on more and more thanks to Bee Beaumont and his determined belief in the Tiffy and its capabilities. In January 1943 Sergeant Lawrence “Pinkie” Stark joined 609 “West Riding” Squadron to fly the Typhoon in the fighter role from Manston, Kent. The aircraft had not been entirely successful as a fighter; but Pinkie and his fellow pilots, under the leadership of their dynamic CO, Squadron Leader "Bee" Beaumont, developed the Typhoon into a most successful ground attack aircraft. In February 1944 he was posted to 263 Squadron as a flight commander, it coincided with the Typhoon's concentration on ground attack operations, at which it excelled, using rockets and 500lb bombs. On the 3rd of July while attacking a target his aircraft was hit by anti-aircraft fire, and he was forced to bale out and returned to the UK. Pinkie was taken off operations and sent to the Gloster aircraft factory to flight test new Typhoons. On 16 November 1944, Pinkie undertook the first and second test flight of RB396. 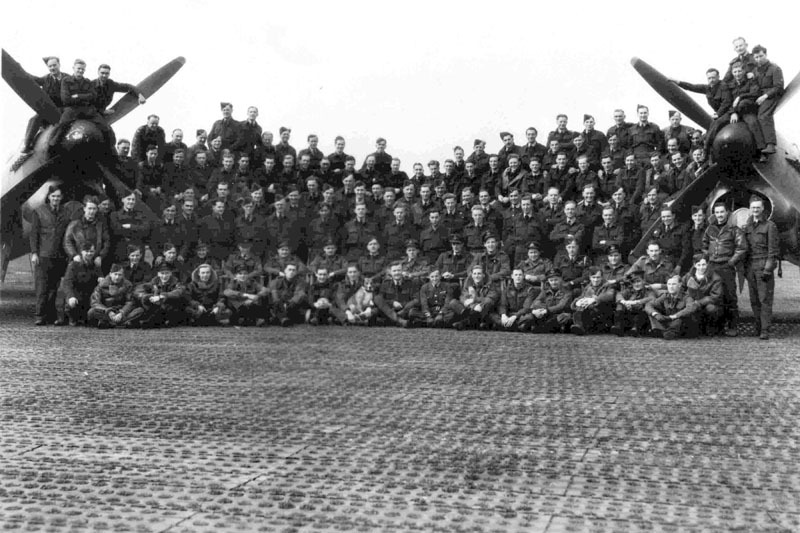 He was then posted to 164 Squadron and finally as the last CO of 609 Squadron. He concluded the War with 255 sorties in Typhoons. Anna Leska flew throughout the invasion of Poland in 1939 as a personal courier of General Jozef Zajac, Commander-in-Chief of the Polish Air Force. She then escaped from Poland to Romania and then to Paris where she and four other Polish female pilots were commissioned as Pilot Officers in the Polish Air Force permitting them to wear the uniform. 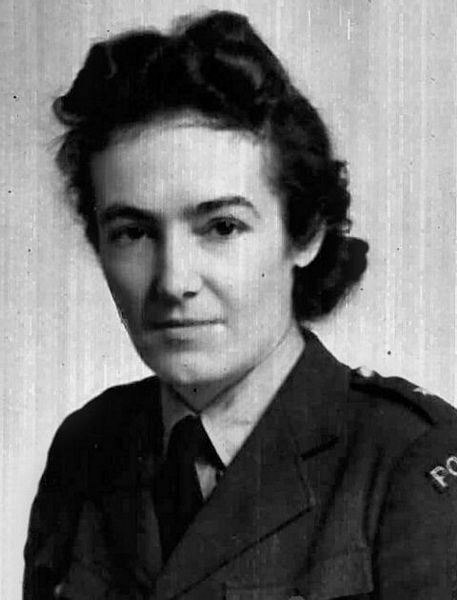 Once in England, Anna joined the Air Transport Auxiliary where she would deliver a total of 1,295 aircraft, have a dogfight with a colleague over Hamble and survive being rammed by a Group Captain in a Mustang. On 6th December 1944, she would deliver a Hawker Typhoon, serial number RB396, from 51 Maintenance Unit, RAF Lichfield, to RAF Westhampnett in West Sussex. Anna was highly decorated, including receiving the "Golden Wings" honorary badge awarded only to senior officers and pilots with over 6,000 hours in the air. Sydney was just one of thousands of young men who answered the call to arms and joined the RAF. Following flight training he was commissioned as a Pilot Officer at just 20 years old and received his certificate of proficiency on the Hawker Typhoon on the 7th January 1945. Young Pilot Officer Russell-Smith was assigned to “The Fighting 174 Mauritius” Rocket Firing Squadron and was immediately thrust into action joining the drive across Europe. On the 28th March 1945 Sydney was flying RB396 ‘XP-W’ as part of Red Section, led by Wing Commander Keep. They were given free rein but no targets of opportunity were found. However, he received small arms fire in RB396’s starboard tank which is the reason that RB396 was grounded until 1st April. Sydney Russell-Smith is one of six pilots known to have flown RB396 and we are happy to say that Sydney is still with us and is aware that RB is being rebuilt to fly. 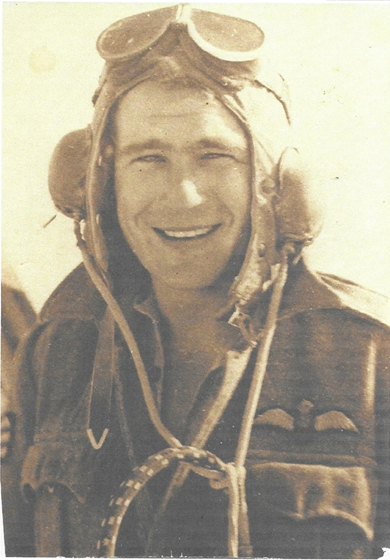 Pilot Officer R G Worthington flew Hurricanes in the North African desert, before being shot down, baling out and breaking his back. Returning from medical leave he joined 184 Squadron on Hurricanes, before the squadron converted to the Typhoon. 21 May 1944 was Roy’s last flight, departing from then RAF Westhampnett, he was shot down over Holland. He force landed his Typhoon, and became a PoW, incarcerated in Stalag Luft III. He was involved in the “Forced March” in the winter of 1945, he never flew again, but wrote a book about his wartime exploits. In 2013, after having left the RAF, and whilst researching his grandfather’s history, Sam Worthington-Leese discovered some parts from the force landed Typhoon Roy was flying that day. It was this research that put him in touch with Dave Robinson, and from there the idea of rebuilding a Typhoon to flying condition was born. Dave and Sam founded the HTPG together, in 2016. The recovered parts from Roy’s Typhoon will be used in the rebuild of RB396 and Sam will be the project’s Chief Pilot, creating a true, cross generational, family link. LAC Alfred Michael Boakes, commenced his training as an aircraft fitter in December 1940. After a spell with 26 Squadron and 121 Squadron working on Dakotas, Tomahawks and Mustangs he joined 174 Squadron in April 1944. 174 Squadron arrived in Normandy at B.5 Camilly on D Day +11 but due to shelling the aircraft did not arrive for another week. He lost all of his possessions in a truck that was hit by a shell and survived, literally a close shave, when a piece of shrapnel shattered the mirror he was using whilst shaving. Churchill visited the airfield in July and gave an inspirational speech. The squadron eventually moved through France, Belgium, the Netherlands and finally into Germany. On these travels he experienced the liberation of Brussels from the back of a truck and the sound of the first combat jet when an Me262 bombed the airfield. When 174 Squadron was disbanded in April 1945 he joined 124 Squadron working on Meteors until he was demobbed in November 1945. Whilst researching his RAF records Andrew became aware of the project and he joined in his Grandfather’s memory. After a spell in the Home Guard defending Conwy North Wales, ‘Bob’ joined the RAF Volunteer Reserve as a flight mechanic, later engine fitter, on 18th March 1942, just after his 18th birthday. Initially posted to 236 Squadron Beaufighters North Coates, his Typhoon association began with 609 Squadron in June 1944 in Normandy, followed by repair and salvage units at Deurne Belgium, Mill Netherlands, and Goch Germany as part of a Repair & Salvage Unit and mobile ‘gang’ travelling the countryside to repair downed Typhoons and Tempests where possible. He had an enjoyable time as he talked constantly about the Typhoon and the places he served praising the pilots and groundcrew. He left the RAF in 1947 following service in Egypt. Tim joined this project in early 2017 in his father’s memory and it only struck him recently that, because his father served at places where RB396 was based, he may be the second member of his family to have touched RB. John Brockhurst tried to join the airforce at the age of 15 but was turned away and told to come back when he was 18. He did on the 2nd August 1941 becoming an LAC 1st class, 2 Engine fitter. He started his time on Hurricanes, then in 1943 was transferred to 182 Squadron on Typhoons. 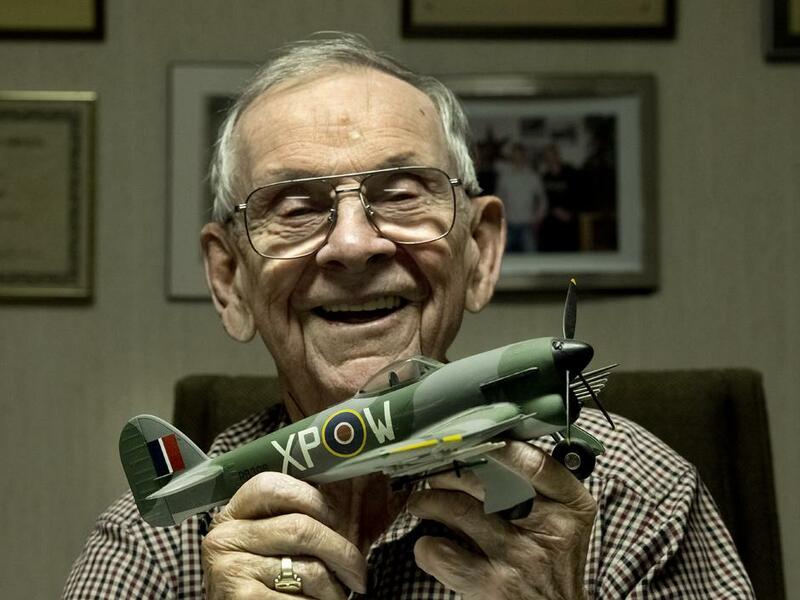 He remembers XM was the Squadron code and one of the aircraft he looked after was XM-Z. A short while after D-Day his Squadron went to France, he went on D-Day + 6, landing at Arromanches. His first air field was B6 Coulombs, moving to many more with the advancement of the War. He left the airforce On 19th September 1946. Dave Brockhurst joined the group in late 2016 with his son and Father John, who is still with us at the age of 96. In 1941 George volunteered for the RAF as aircrew and was selected for pilot training. Completing elementary flying training in Scotland and then the USA, returning to England as a Sergeant Pilot in 1942. He had his dream posting to fly Spitfires but that wasn’t to last and he began his association with the Westland Whirlwind with 263 Squadron at Warmwell. Moving on to the Typhoon, his squadron’s replacement for the Whirlwind in December 1943, George didn’t begin flying the ‘Tiffie’, in its less than reliable days, until February 1944 following the loss of 6 pilots in as many days. Just before D-Day the squadron was assigned to the TAF (Tactical Air Force) operating from Hurn airfield and he remembers hitting a Cormorant during flight which became wedged in the elevator controls forcing him to land nose down, his propeller just missing the runway. D-Day arrived and the squadron were operating over Normandy whilst George was sent away to Air Crew Officer School to become ‘an officer and a gentleman’. Returning to the squadron, most of his attacks were low level - dropping bombs or firing rockets. Operations included the ‘taxi rank’, circling overhead waiting until called down by troops who identified targets using red smoke. George has high praise indeed for the ‘erks’, groundcrew, remembering falling asleep to the sound of the “Tiffies” being warmed up by them ready for action which went on all night long. Overall the battle for Normandy raged for nearly 3 months and 151 Typhoon pilots were killed, one out of every two. George was one of the lucky ones. Demobbed from the RAF in 1946, George had already qualified as a flying instructor but realised the flying life was for him no more. Many who had spent the war dicing with death found it hard to settle down but George decided to travel, with a previous firm with whom he’d been employed before the war, to South Africa. He spent time working at the St Mary’s Mission, perhaps the calling of the Lord had begun. Indeed it had, and George became a reverend and retired from full time ministry in 1987. 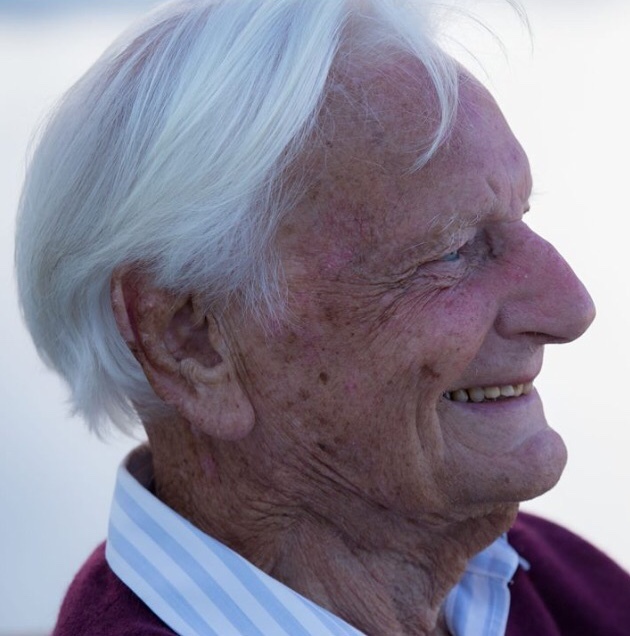 At the grand age of 97, George is very much still with us and has attended the project launch, where he spontaneously blessed the project, and many events since. Flight Lieutenant Chris House joined the RAF by mistake. After a pub crawl, he went into the RAF recruitment office rather than the Army’s, much to his father’s disgust. After his basic training in Canada he flew Hurricanes in North Africa and force landed twice, once after engine failure in the Mediterranean and the second after being shot down. His log book also shows he flew a captured Me109 on a covert mission. On returning to Europe he requested to be posted to a Typhoon squadron and joined 174 Squadron on 26 March 1945. Whilst flying RB396 only six days later on 1st April 1945, he was hit by flack and force landed North East of Denekemp on the German/Dutch border. He “did a runner” as soon as he landed. In the three days following the crash, he lived on swedes and was helped by a Dutch family who fed and give him civilian clothes before passing him to the resistance. He then made it back to the squadron. Sadly, the Gestapo executed the entire family for helping Chris. The news of this severely affected him in later life and he was never able to return to the Netherlands due to the guilt that he felt. Chris flew Tempests after 174 Squadron was disbanded. He flew over Belsen and said “you could smell it at 500 feet”. When he returned to the airfield he tried to wash the taste out of his mouth with rum and toothpaste. On the last day of the War he was court martialled for strafing a German Officer's car that was trying to escape after the ceasefire. Chris stayed in the RAF after the war and flew Vulcan bombers until his retirement in the mid 1960s. After his retirement Chris settled down in Cornwall and bought a fishing boat. A number of his family now follow the project closely. Pilot Officer Frank Johnson joined the RCAF and finished his basic training in Canada before traveling to England. His squadron Commander requested volunteers to join RAF squadrons and when no one stepped forward, Frank was chosen along with fourteen others. 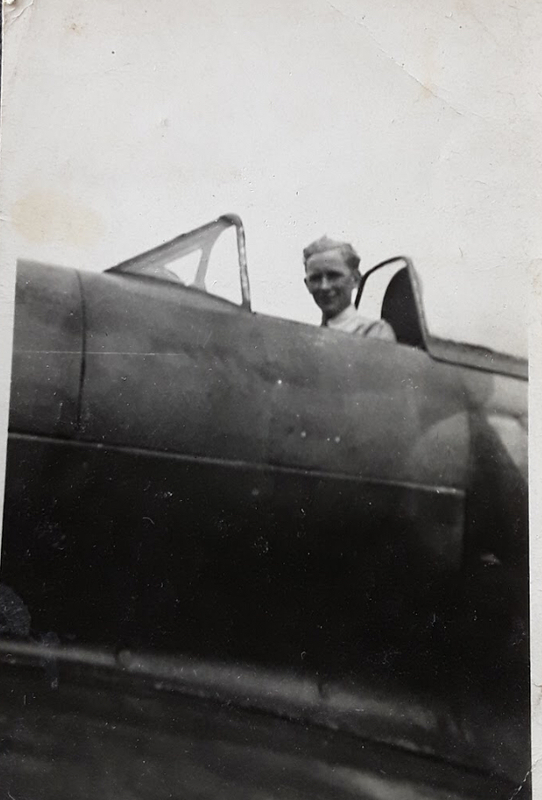 After time at Operational Training Units learning his craft in air combat, ground attack, rhubarbs and anti shipping his first solo flight in a Typhoon was on 24 June 1944 during rocket training. His entry in his logbook simply stated “first solo – whew!!!”. He joined 174 Squadron not long after and when RB396 arrived on 4 January 1945 she was adopted by Frank and adorned with his wife's name “Sheila” on her nose. Frank flew over 30 missions in RB396 including close air support in operation Varsity. Frank was shot down on 30 March 1945 while flying another Typhoon due to repairs being carried out on RB396. He was badly injured with head and thigh wounds and was taken prisoner by the Germans. On his release he was found to have broken his back and was repatriated to Canada in a Lancaster. His back injury required three operations. Due to his injuries Frank never flew again and returned to his pre war employment. He returned back to RAF Waddington in 1961 to visit the squadron that brought him home. 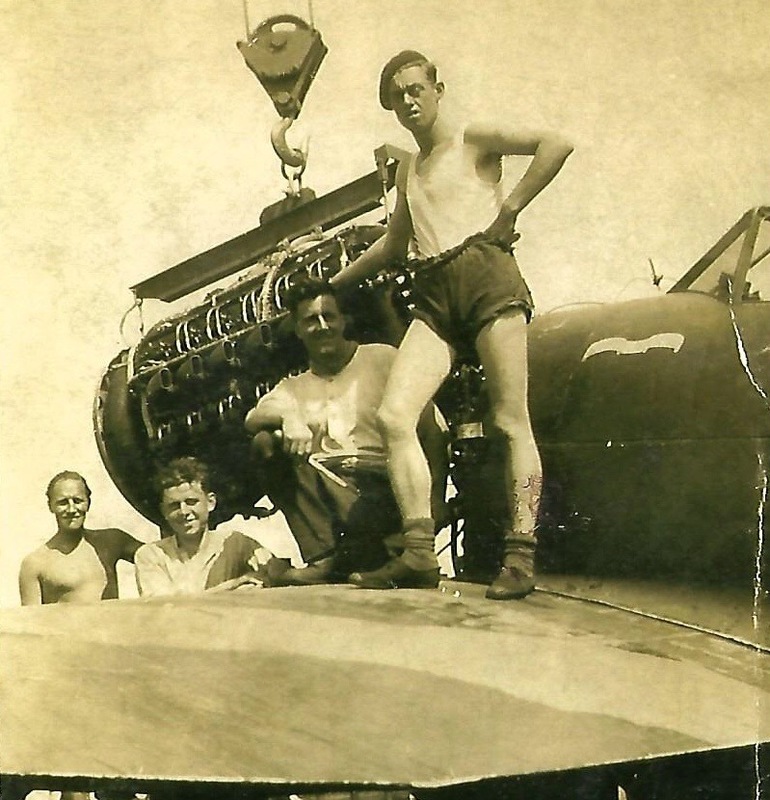 The project spoke to Frank, in 2017, and he was delighted to hear that “his” aircraft was being rebuilt, although he couldn’t understand why anyone was interested in his exploits. Sadly, Frank passed away later that year, but before he went, he made sure that there were sufficient funds behind his local golf club’s bar, so that his friends could have a big party. This is the serial number of the aircraft being rebuilt, it is clearly visible on the rear fuselage, which is the section this campaign will fund. Receive an eCertificate thanking you for your donation, plus your name (if you wish) to be added to a plaque to be displayed in our base, and later the Heritage Centre. The Napier Sabre has 24 cylinders, was a sleeve valve design and was the most powerful piston engine developed during WWII. The HTPG secured a complete, inhibited, Napier Sabre IIa in early 2017. Receive an eCertificate thanking you for your donation. This is the weight, in pounds, of the rocket projectiles that the Typhoon carried. Carrying eight of them it made the combined firepower of the aircraft more destructive than that of a Royal Navy destroyer of the time. Receive an eCertificate thanking you for your donation. 174 was the squadron that RB396 was part of. It is a notable early Typhoon squadron, taking part in the Amiens Raid and other notable raids & missions. Receive an eCertificate thanking you for your donation, plus your name (if you wish) to be added to a plaque to be displayed in our base, and later the Heritage Centre. 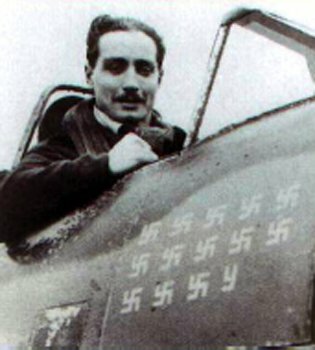 The total number of Allied pilots killed operating the Typhoon, 56% of all those who flew it. this pledge represents £1 for every pilot killed operating the Typhoon. Receive an eCertificate thanking you for your donation, plus your name (if you wish) to be added to a plaque to be displayed in our base, and later the Heritage Centre. The total number of Typhoons lost during its service; 47% of all that were built. Receive: an eCertificate thanking you for your donation, plus your name (if you wish) to be added to a plaque to be displayed in our base, and later the Heritage Centre.  The year that the HTPG was formed, after 15 years’ research by Dave Robinson, and a further two years of planning between he and Sam Worthington-Leese the other founding Trustee. Receive: an eCertificate thanking you for your donation, plus your name (if you wish) to be added to a plaque to be displayed in our base, and later the Heritage Centre. The total number of Typhoons built, mostly by Gloster. Of these, RB396 will be the only airworthy example in the world, it is already the only surviving combat veteran. Receive: an invite to tour Airframe Assemblies and the Aircraft Restoration Company, and dinner with the key people from these companies, the project Trustees and team, an eCertificate and your name on the plaque to be displayed in the base and later the Heritage Centre.